Add a delicious swirl of color to your digits. 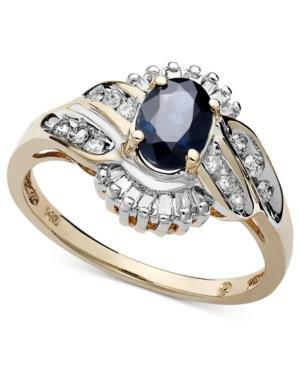 Ring features an oval-cut sapphire center stone (1 ct. t.w.) surrounded by sparkling rows of diamond (1/3 ct. t.w.). Crafted in 14k gold.